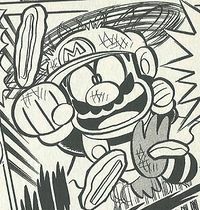 Combined Power-Up Mario is a form Mario assumes in Super Mario-Kun by combining various different power-ups, including the Fire Flower, Starman, Super Leaf, and Hammer Suit, resulting in a form that mixes the attributes of their associated forms. 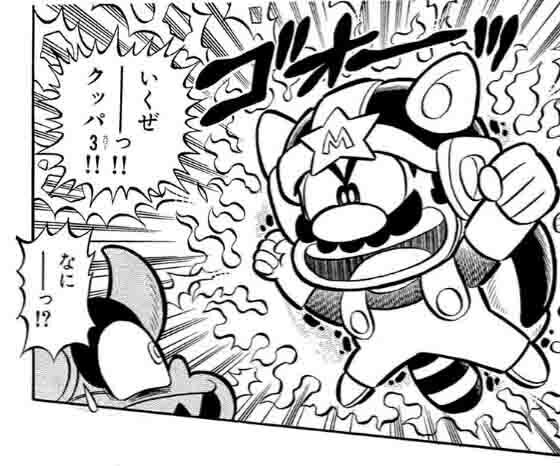 The full power of this form is unknown, but Mario is able to easily defeat Bowser using it. The second version of the form. On a later occasion, Mario used a variation of the form by combining the Frog Suit, the Super Leaf, the Cape Feather, and the Carrot. This page was last edited on February 11, 2019, at 21:54.